The main function of the kidneys is to filter waste from the blood. If not eliminated correctly, toxins can build up in the body and can cause any number of problems, from kidney stones to high blood pressure. Kidney cleansing products are used to eliminate toxins and improve kidney function. A kidney cleanse is a flushing of the kidneys by consuming beneficial liquids, herbs, or foods. The benefit and purpose of the kidney cleanse is to restore and rejuvenate the kidneys by eliminating toxins and parasistes from the kidneys and body. 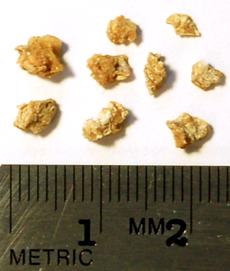 Kidney cleanses are painless unless large kidney stones are in the body. Proper kidney cleansing also protects the kidney while providing the body with increased levels of health functioning. The benefits of a kidney cleanse are important to know since they can improve one's overall health by simply using the natural method. Not everyone knows about kidney cleanses and their positive effects. 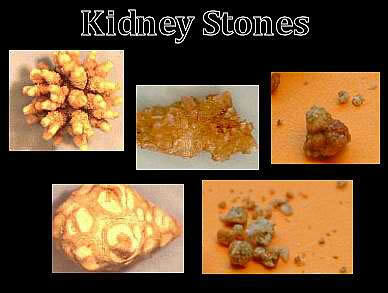 The kidney cleanse is a natural way of helping the kidneys to operate at full capacity, or the highest level possible. The kidneys are an essential organ of the body and easily accumulate toxins and waste daily. Benefits of a kidney cleans include eliminating these toxins from the kidneys and body. In turn, many bodily functions are improved. The ingredients in the flush will attack both alkaline or acid based parasites. The T2P Detox Tea is a combination of herbs which synergistically amplify each other’s actions against parasites and some of them being diuretic that will help cleansing the Urinary System and reduce fluid retention. Other herbs in the tea, have proven qualities to reduce production of intestinal gasses that will improve digestion and protect your body from the damaging effects of internal pressure. 200 ml of water and drink mixture in one go, on empty stomach. Do not eat for 30 minutes! Repeat same Morning & Night — on day 1 & 3. Pure boiled water over one flat teaspoon of Tea in a mug and cover top of the mug to create pressure from steaming water. Wait not more then 15 minutes! Filter the tea into a min. 1 litre bottle and fill bottle up with filtered water. Put one teaspoon of ‘Cea Sea-minerals’ into the Detox Tea. Procedure: Drink min. 200 ml of T2P Tea, away from food, in one go, (hot or cold) every 2 hrs., finishing not later than 5 pm. Follow up Maintenance: for the first 21 days and then one week per month take high quality Probiotics (SB + Ultra Flora Restore), and Digestive Enzyme/Probiotics (Nature Boost) to avoid parasite reinfestation, help digestion and boost the Immune System.